Did you know that the Philippines is working on improving the naturalized carabao strain we know as the “kalabaw”? Who would have thought that guppies, tilapia, and maya weren’t endemic to the Philippines? 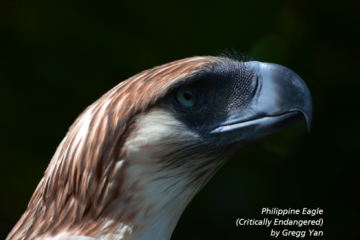 What are the most commonly encountered Philippine animals? If the maya, tilapia, ipis, dagang estero, or kalabaw are top-of-mind, you’re in for a surprise. Despite being ever-present, none of them originated from the Philippines. Introduced by accident or on purpose, exotic species can overpower native plants and animals in just a few generations. How prevalent are introduced species in the Philippines? The case of the janitor fish is the most glaring example of what damage ignorant or irresponsible hobbyists can wreak on the environment. Maya birds were imported from Europe to combat loneliness—and they’re impostors! The term “maya” once referred to a group of small, gregarious birds, particularly the richly-hued chestnut munia (Lonchura atricapilla), our national bird until 1995. 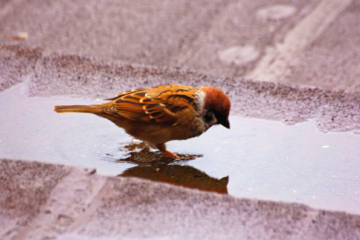 Legend has it that lonely Spaniards, wishing the Philippines to feel more like their beloved Spain, brought Eurasian tree sparrows (Passer montanus) with them in the early 1900s. A century later, they’ve become our most familiar bird, flitting over every major Filipino island, town, and city—and sometimes plaguing ricefields. Sadly, most Pinoys now mistakenly believe the introduced Eurasian tree sparrow is the real maya. African Tilapia were imported for food. Originally hailing from Africa and the Middle East, tilapia are now among the world’s most important food fish, grown in 70 countries. Mozambique tilapia (Oreochromis mossambicus) were brought to the country in the 1950s, followed by Nile tilapia (Oreochromis niloticus) in the 1960s. The territorial and prolific mouthbrooders (their fry seek shelter in their parents’ mouths) took over all major Philippine waterways within 50 years. Tilapia can decimate the native fauna of many rivers and lakes, and not just in the Philippines. In Lake Victoria, Africa’s largest, the introduction of Nile perch and tilapia has spurred the extinction of 60% of the lake’s native fish in what may be the biggest vertebrate extinction of the 20th century. Brown rats or dagang estero were expert ship stowaways. Hailing from northern China, brown rats (Rattus norvegicus) invaded every continent save for Antarctica by hitching aboard ships— making them the most widespread mammal next to us! Typically seen slinking around grimy alleys and gunky canals at night, these all-gnawing rodents have annihilated many island species, especially birds. In Palawan’s Bancauan Isle, introduced rats wiped out all groundbreeding seabirds. Rats are also smarter than we think. They’re as intelligent as dogs, learning fast and remembering solutions to complex problems. Colorful guppies were imported from South America to combat malaria. Introduced in 1921 to keep mosquitoes at bay, prolific ‘millions fish’ or guppies (Poecilia reticulata) have spread to just about every waterway in the country, dining on wriggling kiti-kiti or mosquito larvae. Not all introduced species are harmful though—these lively livebearers (they pop out little guppies instead of laying eggs) control mosquito-borne diseases like dengue and malaria, constantly making our country a safer place to live in. Giant cane toads were brought in to eat pests in sugarcane fields in the 1930s. Their success story is truly “ribbeting”—but giant cane toads (Rhinella marina) eat more than insects. They gorge on anything: small birds, mammals, reptiles… even other toads! With their toxic, leathery hides and rabbit-like reproduction rates, they’ve become the Philippines’ most common amphibian, sitting at the top of the heap in their warty, bug-eyed glory. Alien catfish are displacing our delicious, native hito. Introduced for food, African sharptooth catfish (Clarias gariepinus) and Asian walking catfish (Clarias batrachus) are displacing our local hito, the broadhead catfish (Clarias macrocephalus), now dwindling both from land conversion and hybridization with the two alien species. A good reason to conserve our broadheads? Among the three species, ours is still the tastiest! Golden kuhol were introduced from South America for food. “What better way to feed people than to throw South American snails into ricefields?” thought entrepreneurs in 1982. Well, these little golden buggers don’t spread at a snail’s pace. Eight years after introduction, golden apple snails (Pomacea canaliculata) and their familiar pink egg clutches infested 11% of the Philippines’ ricefields, turning our palayan into their personal salad bowls. Tasty, yes, but these gastronomic gastropods are now top rice pests. American cockroaches took over the world through commerce. By stowing away on ships, planes, trucks, bags, and anything small enough to crawl in, American cockroaches (Periplaneta americana) colonized the world, contaminating food stores with cockroach crap. Aside from being unbelievably tough to kill (they can take a full-force slipper-slap and still merrily scurry into a wall crack), they’re armed with a truly terrifying move: the flying ipis attack. Carabao were brought in by Malay settlers for farming over 2,000 years ago. Originating from India, Indochina, and China, wild water buffalo were domesticated approximately 5,000 years ago. Malay settlers brought carabao (Bubalus bubalis carabanensis) to till the isles which would later become the Philippines around 2,200 years ago. The beloved, hard-working carabao has now been naturalized as our national animal. Aquarists (the irresponsible ones, that is) dumped South American janitor fish into rivers. No invasive species story would be complete without mentioning janitor fish, particularly the common plecostomus (Pterygoplichthys pardalis) and sailfin plecostomus (Pterygoplichthys disjunctivus). Aquarists just love these tireless, sucker-mouthed algae eaters, which hail from the fast-flowing waters of South America. Unfortunately, they grow larger than a foot—way too large for most aquaria. Well-meaning pet-keepers then dumped them in rivers. Voila! The infestation has spread as far as Mindanao. Looks like we’re the real suckers. Chinese soft-shelled turtles, South American knifefish, Central American jaguar guapote—the list goes on and doesn’t even include plants. So what differentiates introduced and invasive species? Introduced species have little large-scale effects on the environment, while invasives outwit, outplay, and outlast most other species. Many animals have also become naturalized as stable components of ecosystems. The famed mustang horses of North America were brought by Spanish conquistadores to the New World 522 years ago. The legions of ancient Rome introduced pheasants from Asia to Europe 2,100 years back. Australia’s ubiquitous rabbits are descended from 24 European bunnies that a farmer set free 156 years ago (well yeah, they breed like rabbits). Over time, these animals blended into their new habitats. To stem the tide of alien invasion, the Department of Environment and Natural Resources (DENR) developed a National Invasive Species Strategy and Action Plan (NISSAP). “We can no longer ignore this issue for its impacts have extended beyond what we consider intangible. We’re losing our potential to further benefit from our native biological resources,” explains Dr. Theresa Mundita Lim, head of the DENR’s Biodiversity Management Bureau (BMB). First is for hobbyists and farmers to stop releasing non-native animals into the wild. I know—it hurts to euthanize Goldie the goldfish. But that Australian farmer never imagined that his country would battle bunnies for a century either. Readers on the go can take photos of unfamiliar animals and send them to the DENR’s Biodiversity Management Bureau or post them online to map out the range of both foreign and local species. “It’s important to recognize the various pathways for entry like tourism, agriculture, forestry and the pet trade. We want to best manage the entry of invasives by working closely with those responsible for each pathway,” adds Lim. Knowledge is power. Careful culling can also dent introduced populations. Using aids like poisoned bait and advanced tracking, New Zealand successfully removed invasive rats in 10% of its islands, proving that eradication is possible in closed island ecosystems. Though it may drag on for decades, steady vigilance and sound science will help us win the war against alien invaders.